HOLY COW! 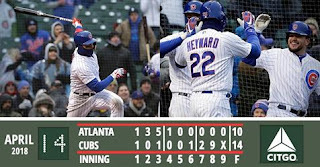 The Comeback Cubs showed up at Wrigley again on Saturday, coming back from a 10-2 deficit to beat the Braves 14-10. 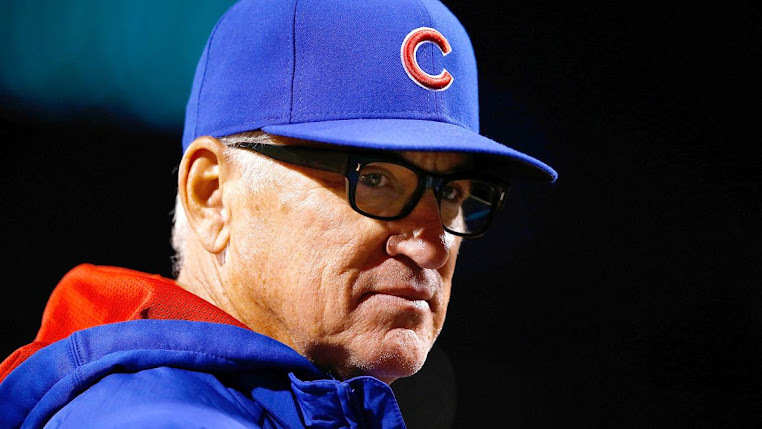 Down five in the 8th, the Cubs sent 13 men to the plate and put up a nine-spot to take the lead for good! AA homered way back in the first, Zo went 3-for-3 with 2 RBI and 2 runs scored, Javy drove in four, and KB continued his torrid start with a 2-for-3 day, raising his average to .352. This one felt good. We never quit, indeed. Sunday afternoon's rubber game was rained out and will be made up on May 14 at Wrigley. The Cards come to town Monday to start a three-game set that wraps up the homestand.